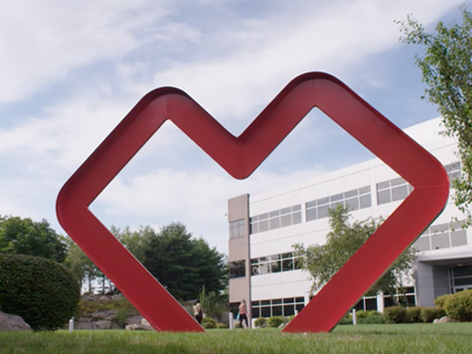 At CVS Health, our expansive reach, expertise and access to local communities position us to help address prescription opioid misuse and abuse with an enterprise-wide approach. CVS Health has made a commitment to help address the abuse and misuse of prescription opioids by designing programs and collaborating with community leaders, policymakers, law enforcement, health care professionals and others to increase community-based educational programs related to opioid misuse and abuse, create safe prescription drug disposal sites, expand access to life-saving antidotes and advocate for targeted and effective policies, locally and nationally. Aetna has also employed a comprehensive strategy to fight opioid abuse, with the goal by 2020 of drastically reducing overprescribing and misuse. Aetna’s strategic programs focus on prevention, intervention and support for treatment, including ‘super-prescriber’ interventions to physicians, surgeons and dentists with outlying opioid prescribing habits; Aetna Pharmacy’s Controlled Substance Use programs that identify and intervene with at-risk members; and the Guardian Angel pilot program to identify and outreach to members who recently experienced an opioid-related overdose. Our ongoing opioid abuse prevention efforts and enterprise initiatives are supported by all parts of the company — including our CVS Pharmacy retail presence in nearly 10,000 communities across the country, CVS Caremark, our PBM that manages medications for more than 90 million plan members — and reach patients, providers, payors, advocacy organizations, elected leaders and community health advocates. Working in collaboration with these health care stakeholders, CVS Health is committed to helping to address opioid misuse and abuse. 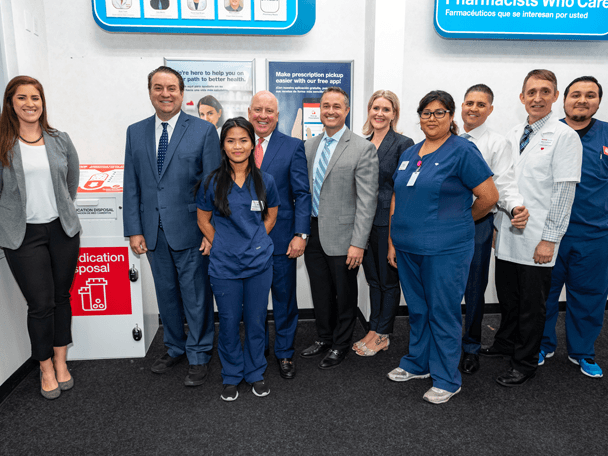 From in-store programs like our medication disposal units and first-fill counseling to guidelines for opioid utilization management for our prescription benefits members, we’ve taken a proactive approach to opioid abuse prevention. We recognize the importance of tackling opioid misuse and abuse at the local level, with local solutions. 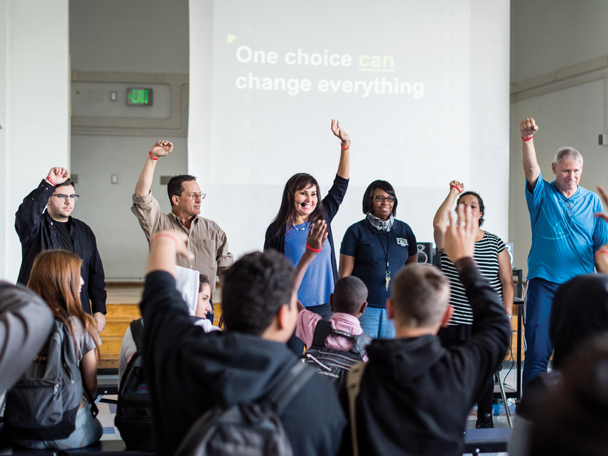 To do that, we’ve launched education programs for teens and parents and committed funding to organizations across the country to support prevention, treatment and recovery efforts. Learn more about our opioid-focused community initiatives. As a leading stakeholder in health care, we work with advocacy organizations and elected leaders to recommend new and enhanced policies that will help prevent opioid misuse and abuse. Learn more about our public policy work. Our Board has made our commitment to help address prescription opioid abuse an important priority of CVS Health. Our Board is actively engaged in our efforts through its oversight and review of the programs we are implementing to respond to prescription opioid abuse. 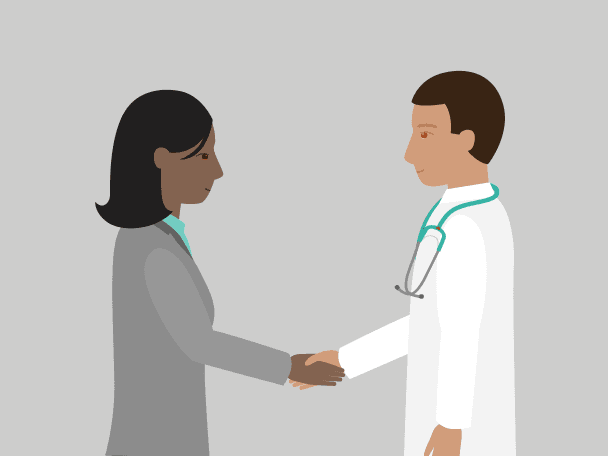 Within the Board, the Audit Committee, Medical Affairs Committee, the Nominating and Corporate Governance Committee and the Management Planning and Development Committee each play a significant role in the Board’s oversight efforts. CVS Health has made an enterprise-wide commitment to help address the abuse and misuse of prescription opioids through a variety of programs, initiatives and community support. 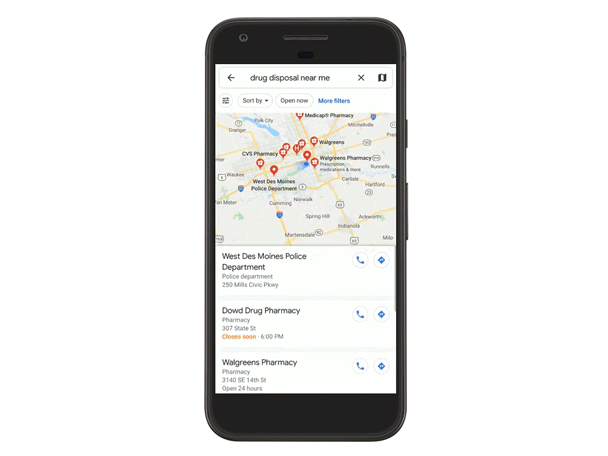 The collaboration builds on our opioid abuse prevention efforts and will help consumers find locations in their communities to drop off unwanted prescription drugs. As part of our fight against prescription drug abuse, we’ve added safes with time-delay functionality in select CVS Pharmacy locations. 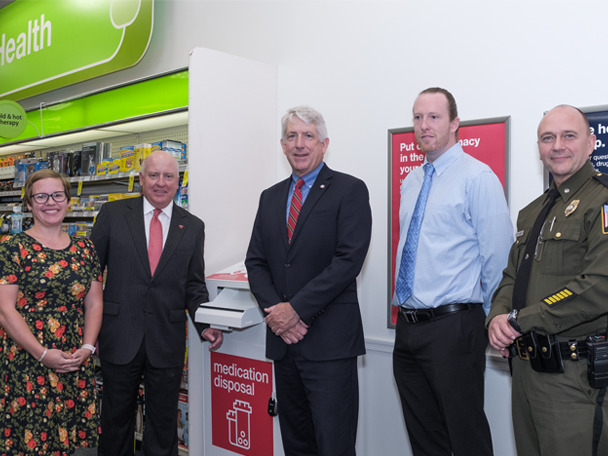 Disposal units can now be found in select CVS Pharmacy locations around the state, making it easier for the public to safely dispose of opioids and other medications before they’re misused. The expansion of the program is part of our ongoing efforts to combat the opioid epidemic nationwide by preventing the misuse and abuse of unused or unwanted medications. 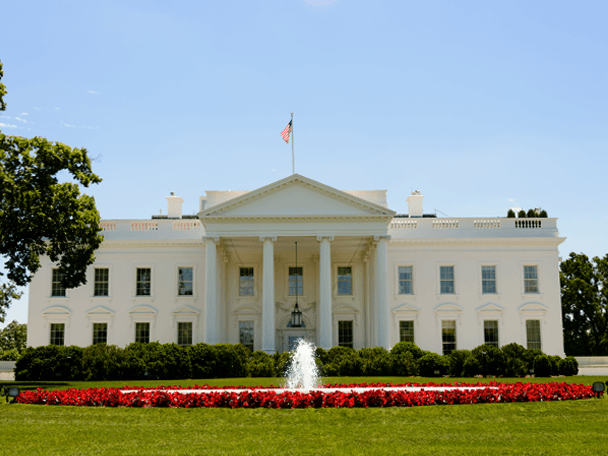 At a recent White House event, we announced new commitments to prevent prescription drug abuse and help the millions of Americans who struggle with addiction daily.